My (grad school) alma mater is notorious for holding its undergraduate women to an impossible standard: effortless perfection. Effortless perfection in that context means not only being smart and getting top grades; looking beautiful, fit, and put-together; being popular and kind; succeeding at everything you attempt; etc., but doing it all without even appearing to be striving. No one is perfect, and most people have to try very hard to perform well in even one of these domains. Naturally, this leads to incredibly high stress levels and even mental breakdowns, so the wide application of the effortless perfection standard is perceived to be toxic. But perhaps effortless perfection, when defined narrowly, is a useful goal for an individual to set (as opposed to a group to impose). After all, achieving perfection would be superb if it truly was effortless. 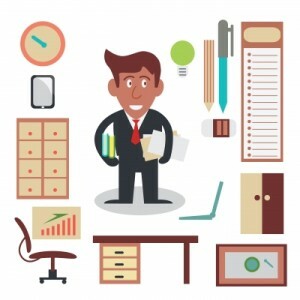 When I think of effortless perfection in the financial realm, certain high achievers within the FIRE community come to mind (e.g., the Frugalwoods) as well as individuals whose finances seem to be a well-oiled machine (e.g., Leigh). ‘Perfection’ narrowly defined here is simply achieving the financial goals you set for yourself. If you set a simple goal like saving X% of your income or keeping your spending in Y category below $Z, it’s easy to evaluate how you did. If you achieved the goal, you are ‘perfect.’ If you fell short, you’re ‘great,’ ‘good,’ ‘okay,’ ‘poor,’ etc. More complex or sprawling goals don’t lend themselves as easily to achieving perfection since falling short in some area(s) is more likely. As any goal worth setting is going to be challenging, someone who has achieved perfection in one area would probably laugh at the suggestion that the journey had been effortless. For the FIRE example, it takes quite a lot of work and creativity to succeed in a high-paying career and to cut your lifestyle down, down, and down. But at some point, I do hope that the practices undertaken to achieve the goal become habitual, natural, ingrained – seemingly effortless. I certainly don’t want to be striving pedal to the metal toward a single goal over the long term – that’s unsustainable. That why, in the frugality realm, I’m such a big fan of reducing large fixed expenses (or anything with a high payoff-to-energy ratio) – it takes more doing up front, but the payoff over the longer term is effortless. Personally, I don’t think we’ve achieved effortless perfection in our finances (or anywhere else!). A lot about our financial life right now is effortless because we don’t have the mental bandwidth to put any effort in, but it’s not perfect by any stretch of the imagination. We’re quite disorganized with our out-of-date budget and savings rates for irregular expenses. Probably the area we come closest to effortless perfection in is our narrowly-defined goal of setting aside from every dollar we earn the appropriate amount (ish) for taxes, 18% for retirement, and 10% for our tithe. We do achieve that goal and have for many years, but it’s not quite effortless because it currently requires some manual transfers. While that’s typically not an issue, we had to play catch-up with some of the transfers after DPR’s NICU stay. In fact, writing this post prompted me to set up automatic transfers to achieve this goal for Kyle’s (regular) income so that we only have to set manual transfers for my (irregular) income. One thing I really don’t like about the false ‘effortless perfection’ of the undergraduates is that the true effort being expended is hidden so the burden is quite heavy on each individual. 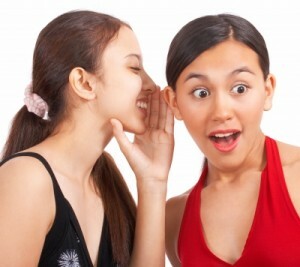 The PF blogosphere is far superior in that all of our efforts in creating best practices are shared with one another. My effort in achieving perfection in some area is lessened because I can learn from my peers, and vice versa. It’s collaborative instead of competitive! 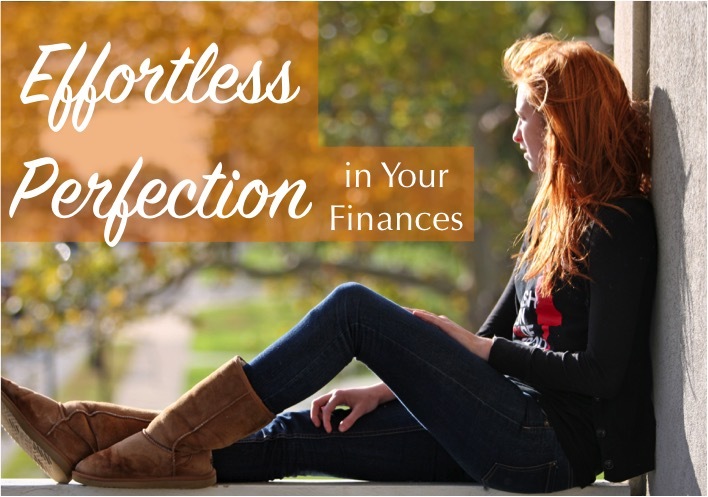 Have you achieved truly effortless perfection in any area of your finances or life? What area of your finances are you transitioning to effortlessness? 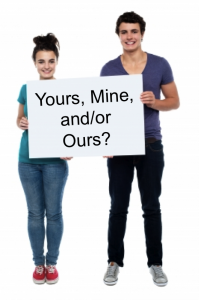 What Constitutes Joint or Separate Finances? Grad Student Finances Has Launched! 2 Responses to "Effortless Perfection in Your Finances"
Perfection really isn’t effortless. It’s dangerous how easily that can be percepted by others though. My husband and I both had our finances as pretty well-oiled machines before getting married, so I’m really curious to see how we work through these discussions as we figure out how to combine finances and what we’ll keep separate and then how that will evolve in the future. Now that my mortgage is gone in terms of my finances, my finances have in a way been simplified. My plan is to keep my general savings account stocked with one year of expenses in cash, to put 1/12th of my expected annual expenses into my personal checking account each month, and anything beyond the goal amount in my general savings account will be tossed into investments. We are still sorting out what our joint cash flow will look like, but it will probably look relatively similar to that, with different numbers. I’m really curious to see what our “personal” spending ends up covering in 2017! So far, it looks like it’ll be food out with friends separately or by ourselves, personal care, cell phones, clothes, fitness, video games for my husband, and separate travel (if that happens). Rather than an allowances system like other married couples use, ours will for now come out of legally separate money since we plan to keep our incomes separate for the first few years. I can definitely see the advantage in what you’re doing by taking the combining-of-lives in stages, slowly. You can really consider each step carefully and work out the kinks before moving on to the next. I think this aspect contributes to the “effortless perfection” perception. I’m curious about how you’ll define personal vs. joint spending, too! That’s always been one of my main questions about managing separate or partially separate finances.